One of the season’s most anticipated – and most controversial sitcoms premiered last night to strong numbers. 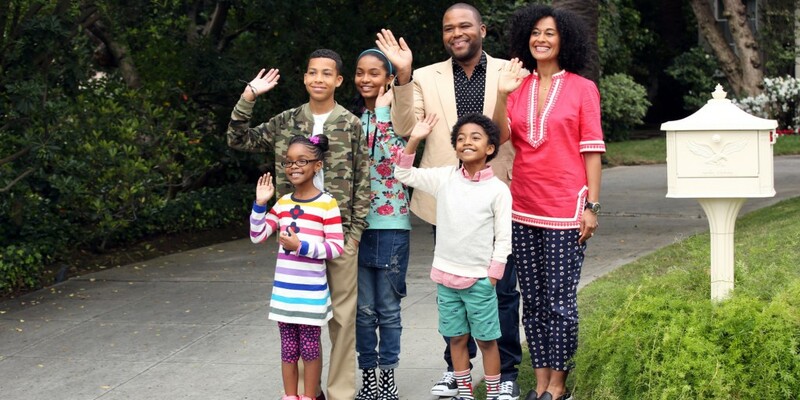 ABC’s new Black-ish scored a 3.3 rating among adults 18-49, down from its Modern Family lead-in (3.9), but matched it in total viewers, earning 11.1 million viewers. The sitcom is about an African-American father of four who is concerned about his children losing their cultural identities. – In other news, CBS had some decent returns with the season premiere of Survivor (2.7) and the Big Brother finale, which won its overall time period (2.6). ABC saw improved rating results on Wednesday in the first hour of primetime with the season premieres of The Middle (2.2) and the increasingly awesome The Goldbergs in color (2.4), up 9% from the lead-in and its best showing since last fall. Switching over to the final hour of primetime, the soapy Nashville was unable to gain traction with a 1.5 rating. Poorly written, poorly acted, and poorly produced, Nashville is more suitable to air at 11 p.m. on a Saturday night on a local My Network TV affiliate. Pretty much forgotten, Fox finished fourth with Hell’s Kitchen (1.3) and new drama Red Band Society (1.1). Fox is misfiring on all cylinders so far; no doubt the network is looking forward to The Simpsons/Family Guy crossover this Sunday for some ratings relief. How bad was Fox’s performance Wednesday night? The season premiere of Comedy Central’s South Park, which featured Eric Cartman trying to capitalize on the Washington Redskins expired trademarks, earned a 1.4 rating, beating both Fox prime-time shows in the 18-49 demo. If Fox’s ratings don’t improve soon, the network itself might expire. Finally, CW brought up the rear with a pair of Penn And Teller specials; the first one averaged a 0.5; a subsequent repeat earned a 0.4. But with CW’s new fall lineup kicking in two weeks from now, it’ll be another thing for Fox to worry about – to prevent from falling into the Ultimate Basement. All numbers are based on the adult 18-49 demo in live plus same-day ratings.